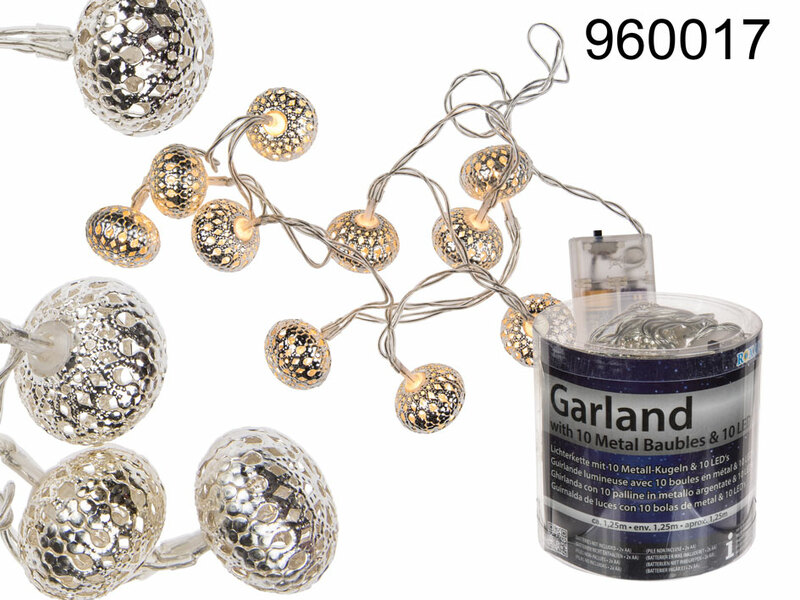 Battery-operated (for 2 AA batteries) light chain with 10 metal openwork baubles with warm white LEDs. Lovely decorative item for Christmas time. Can be placed literally everywhere thanks to independent power source (for indoor use only). Sold in PVC box.